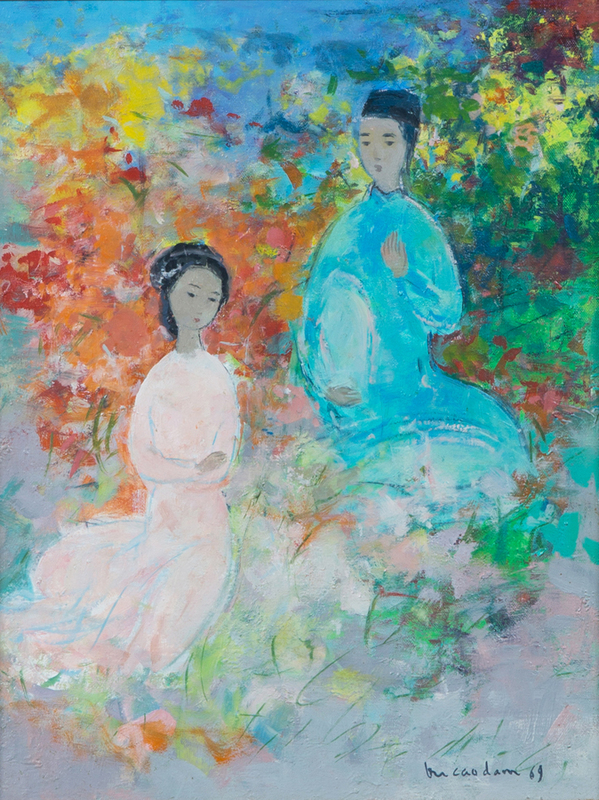 For eighteen years, from 1931 to 1949, the Vietnamese artist Vu Cao Dam lived and worked in Paris. All the subtle charm of Parisian life and all the stimulus of its vigorous artistic movements had their inevitable influence on him and his painting, yet he never turned away from his Oriental heritage. Vu Cao Dam succeeded in taking something from both cultures and producing an amalgam of the best in Oriental and Occidental art.